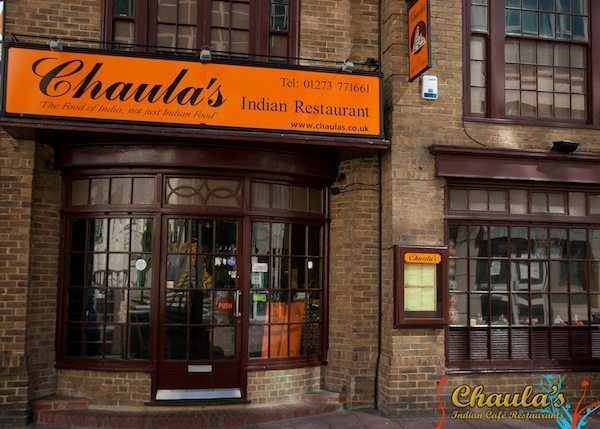 Established Indian restaurant Chaulas has two locations, one in central Brighton and another in the historic town of Lewes to the east of the city. This evening though there’s no need to walk down to restaurant or even contemplate catching the train to Lewes; charming as they both are. The restaurants’ menu is now online and available to order via the gurus of gourmet takeaway, Deliveroo. Ordering from them is a piece of cake. Entering your postal code on their website will determine which restaurants are presently delivering to your area. Then select the time you wish your meal to arrive and once you’ve chosen a restaurant, compile the meal and pay the balance. All being well, and from experience it will be, your lunch or in this case dinner will duly arrive at the time specified. Chaulas menu offers an array of recognizable Indian dishes while also specializing in Gujarati cuisine, which is predominantly vegetarian. In doing so the diner can still opt for more traditional fare like Korma, Dhansak and Tikka Masala or fully embrace the Gujarati influence. As most people probably do, my dining companion and I choose a combination of both. Whichever, the menu is usefully divided into vegetarian and non-vegetarian dishes and the options for either are extensive. 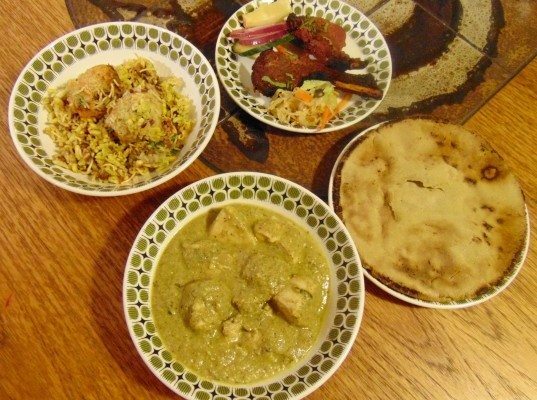 Starter prices range from £3 to £5, main dishes around £8 to £10. There are of course side dishes and sundries to explore. We began with some refreshing Masala Papdad, crunchy popadoms topped with a finely chopped fresh onion, tomato and coriander salad. Alongside, a dish called Bhel Puri, consisted of puffed rice, gram flour noodles, spiced potatoes-chickpeas and chutney. A nourishing dish eaten dry or with yoghurt, it produced a warming heat offset by a tangy yet tamarind sweet coriander and red pepper chutney. 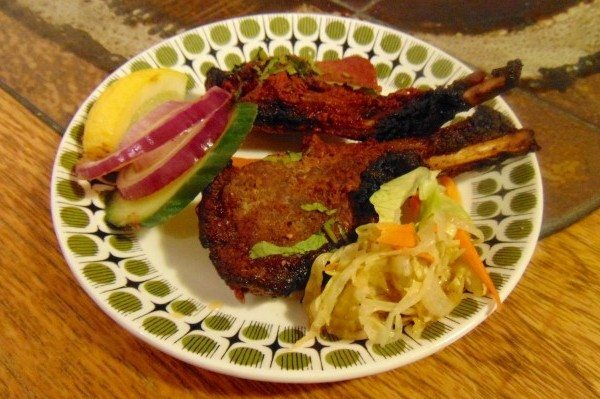 Delicate and therein lay its appeal; in stark contrast were the pair of marinated and tandoor cooked lamb chops. Blackened and red in appearance they were meaty and supremely tender. The spicing was aromatically powerful though not too much on the palate. Despite treading a more obvious path they were nonetheless delicious. 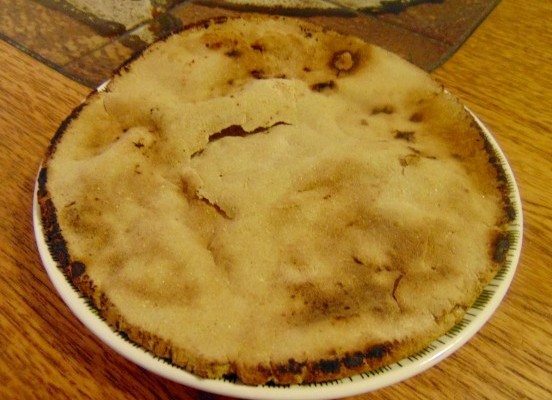 Instead of a regular naan we’d opted to share a Bajri Rotla, made from millet flour and 100% wheat and dairy free. Drier than a naan and conveying a very robust wholesome flavour. A steadfast gluten free option, which held up well to being dunked and mopping a plate ‘til clean. 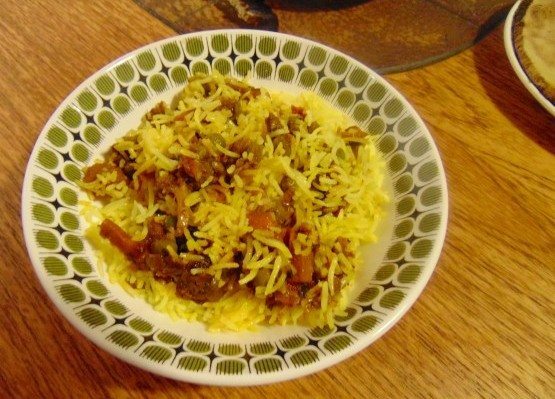 My companion’s choice for a main dish was the Vegetable Biryani, comprising of a spicy cinnamon infused rice with onion and sultana accompanied by an earthy dhal, well seasoned and soupy with the lentils retaining a welcome bite. A tasty plate of food and great value to boot. 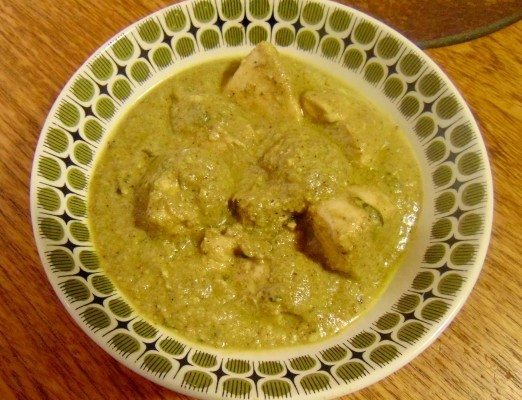 I’d ordered the Pista chicken; large chunks of tender boneless chicken set in a soothing homespun sauce, no real heat to speak of but bags of flavour. A rich nut based sauce lovingly transmitted aromas of fennel and white pepper. 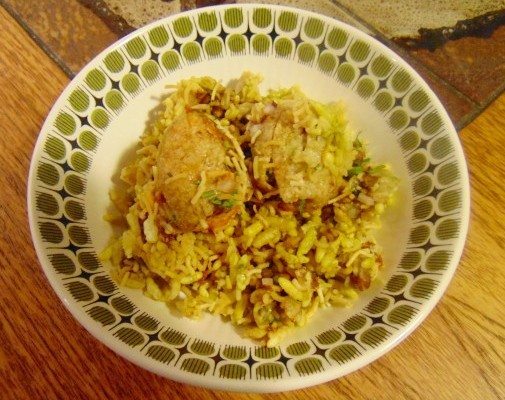 The Pilau rice was fluffy and lightly aromatic while a lime pickle was surprisingly mellow yet carried enough acidity to balance its fruity sweetness. Be it a biryani or perhaps a dish not so instantly familiar, the food at Chaulas is big on flavour, put together with a style of their own and most definitely with a whole lot of soul.